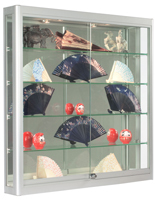 These wall merchandising showcases has many excellent characteristics, enabling it a steal at this price! 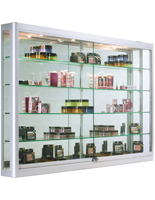 The cabinets incorporate two recessed eyeball-style halogen top lights. 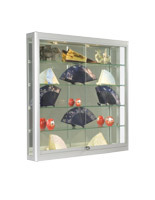 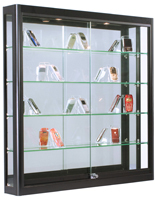 These merchandising showcases can be tilted to direct light towards the front or back of the display cabinet and an on/off switch is located in the inner right-hand corner of the case for easy lighting changes. 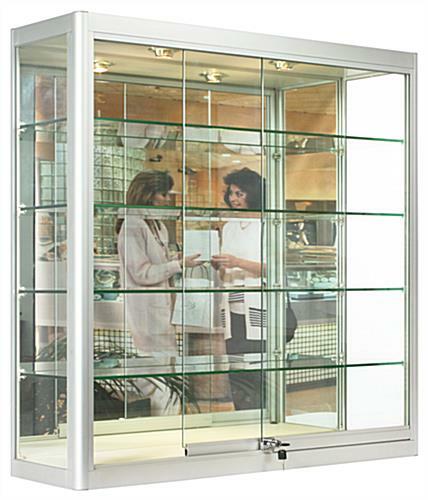 A mirrored back further illuminates jewelry and other wares. 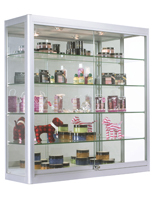 The showcases incorporate four fully adjustable, rubber cushioned shelves to suit products of deviating heights. 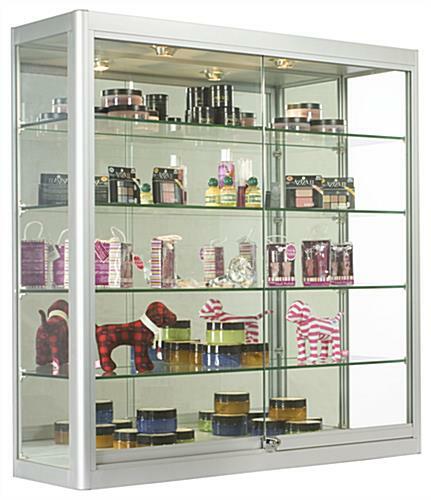 Dissimilar to most traditional 6" deep cabinets, these models are double the depth, at 12" deep! 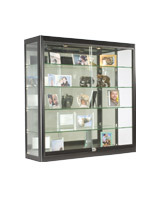 Sliding, locking doors preclude unwanted entrance to the display cabinet. 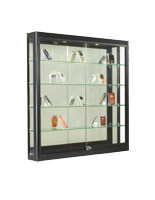 39.5" x 39.5" x 20.0"